The weather here in Georgia is hot, hot, hot! 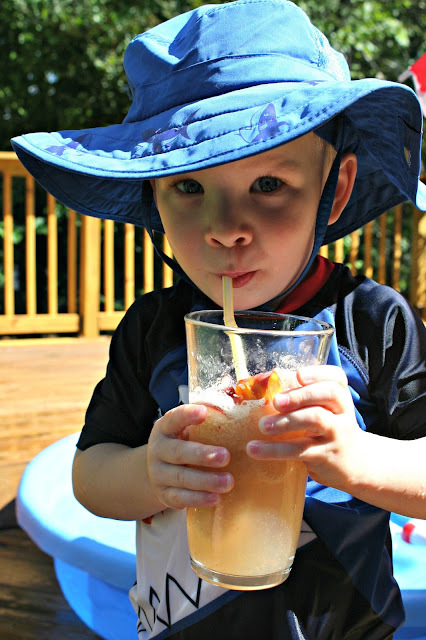 I've been raiding my fridge for yummy summertime drinks that will cool us down. 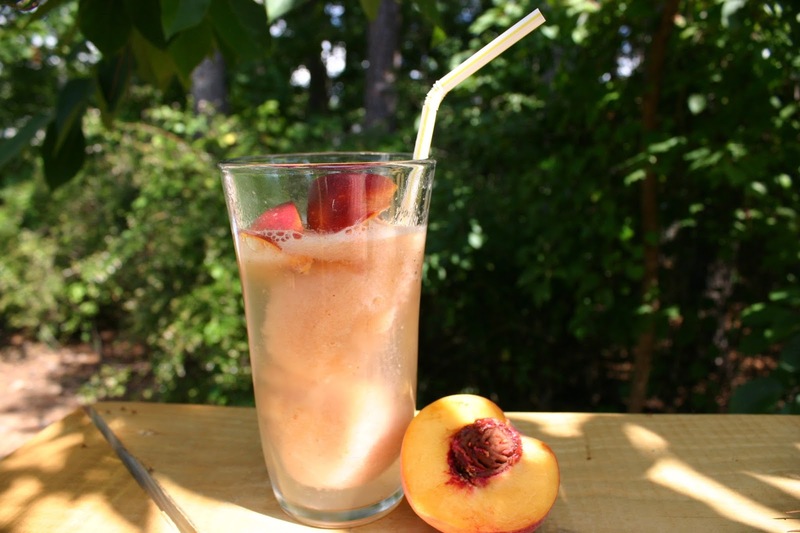 I need something that the boys and I will love, and nothing says Summer in Georgia like peaches. 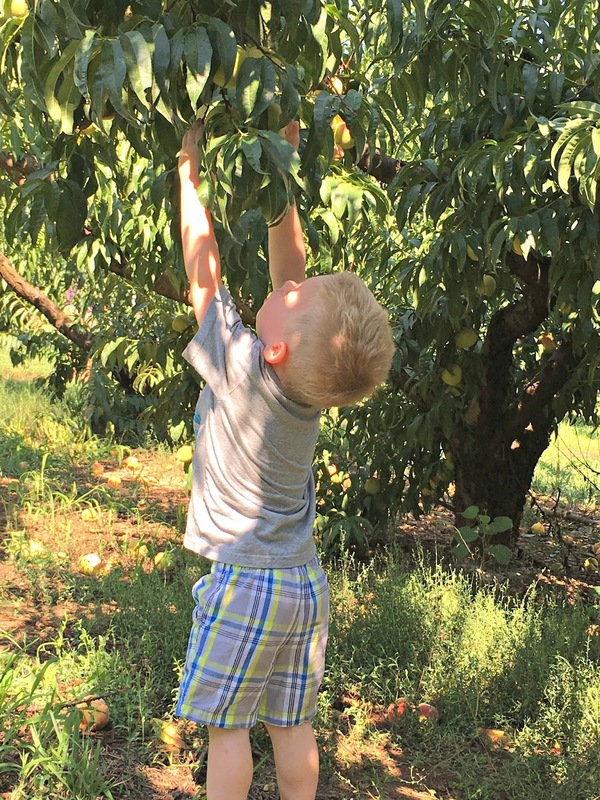 In fact, a couple of weeks ago my mom and I took the boys up to Jaemor Farms in North Georgia to pick some fresh peaches at their Third Annual Georgia Belle Peach Festival. We had a blast in the hot Georgia sunshine. We picked fresh fruit and enjoyed the juicy peaches straight off the trees. Everything tasted and smelled delicious. 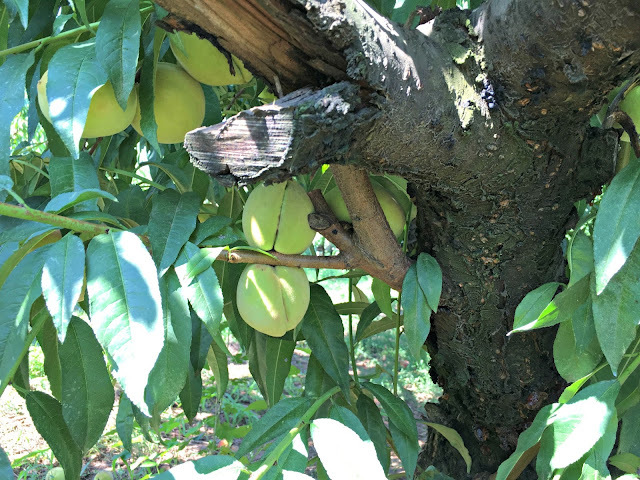 To my surprise, Georgia Belle peaches aren't even peach, they are actually a light green color but they are so sweet we made sure to pick a big basket before checking out the other great produce available at the Jaemor Store. 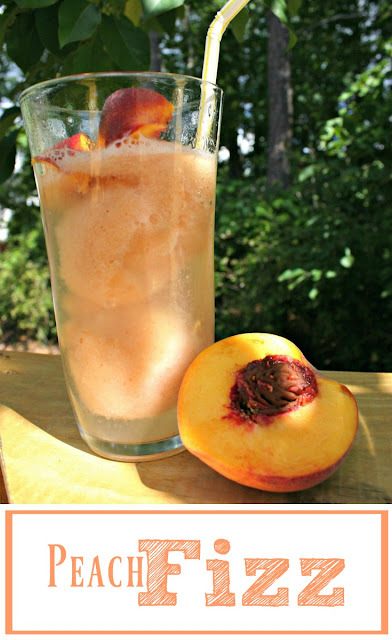 When we got home we had so many peaches we had to find some creative ways to use them so that they would not go to waste. 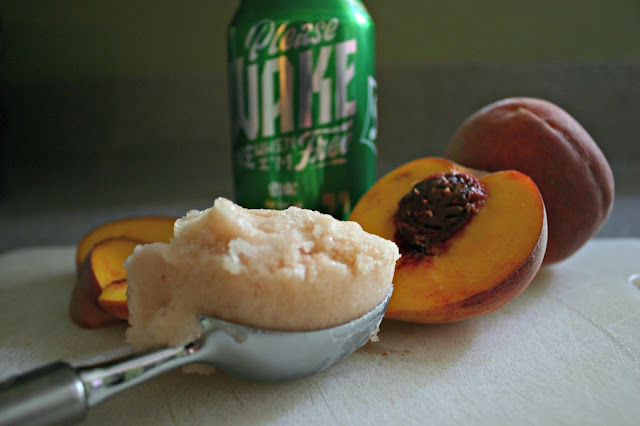 We decided to make homemade peach sorbet and so with the help of my three-year-old, we measured all the ingredients and within minutes we had a delicious sweet treat. Note: The sorbet recipe was adapted from the Vita-Mix cookbook. Place all ingredients in your blender (I recommend a Vita-Mix). Pour mixture into a freezer-safe container, cover and freeze at least 2-3 hours. After tasting the sorbet I knew immediately it would be the perfect star for a summertime drink. To make the sorbet even more delicious I added a couple scoops to a tall glass with some lemon-lime soda, peaches slices, and a straw and well, there were smiles all-round. If you're feeling really froggy add some champagne - it's delicious. It would be the perfect drink for a wedding shower or girl's night. Make sure you enjoy some fresh peaches this summer. You can check out some of my other favorite recipes here. Omg this looks absolutely delicious!!! I'm obsessed with peach everything. I must give this a try!!! !